It’s difficult to make a case against buying wine from Majestic, especially when you can source wines like this 2004 Reserva from only £12.99. Cune (a.k.a. 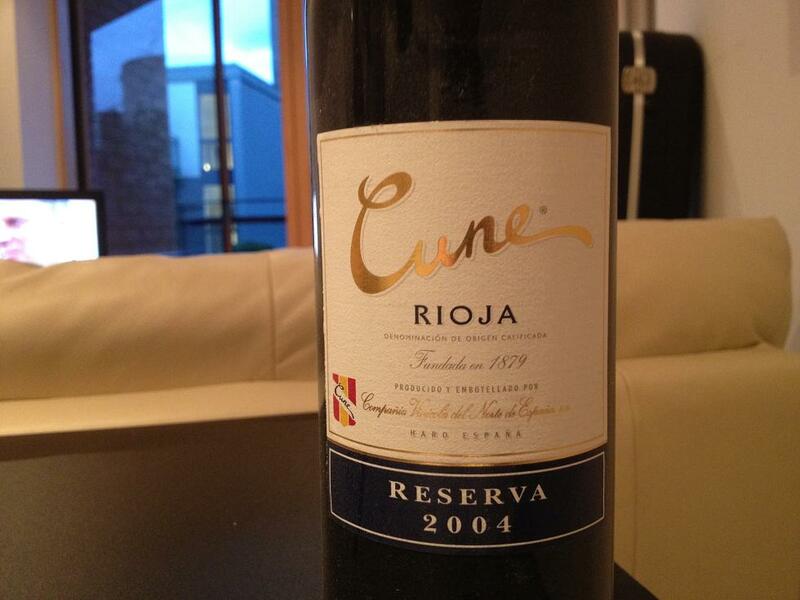 CVNE) Rioja is a pretty good marque to look out for, should you decide to scour this historic wine region of northern Spain. But the food match I’m going to recommend might surprise you. The staple diet for a man in a flat ranges from beans on toast, through boiled eggs, right on to the culinary eloquence of Heinz Tomato Soup. And it is the final member of this self-flagellating Opus Dei style triumvirate that makes this red juice stand out like the sore orangey stripes on my back. A rich sweet berry fruitiness with a little kick of spice makes a perfect match. Of course, tomato soup must be served with warm pitta bread (never toast), and plenty of freshly ground pepper (never salt). Equally important is serving the wine a little colder than room temperature. If you want to drink to the orders of the winemakers, you should stick it in the fridge for at least half an hour before serving. Majestic are currently punting the 2006 at £13.99 (which I haven’t tasted yet). Bound to be at least as good, though. This entry was posted on Tuesday, September 4th, 2012 at 10:27 pm	and is filed under Spain and Portugal. You can follow any responses to this entry through the RSS 2.0 feed. You can leave a response, or trackback from your own site.